The National Research Council of Canada houses ones of the world’s most influential groups in femtosecond and attosecond science. They specialize in femtosecond laser sources, attosecond xuv sources, strong field atomic and molecular physics, molecular dynamics, and theory of atoms and molecules in intense fields. 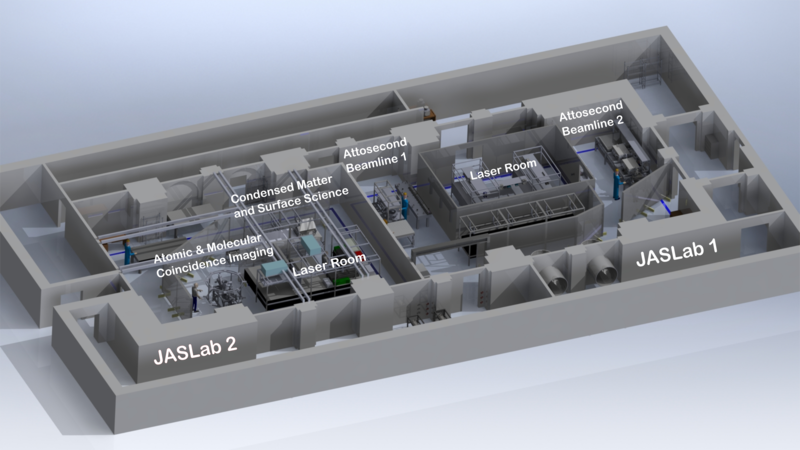 The Attosecond group is part of the Joint Attosecond Science Laboratory (JASLab), a partnership between the University of Ottawa and the National Research Council of Canada. JASLab’s principal investigators are Paul Corkum, David Villeneuve, and André Staudte. The NRC Attosecond group is part of the Quantum Photonics Sensing and Security (QPSS) Program, which is part of the Security and Disruptive Technologies (SDT) Research Centre within NRC.